Is there anything better than getting a craft box through the post? Well how about the most adorable Halloween themed one filled to the brim with gorgeous ghoulish delights? This adorable Halloween themed bunting box from Bunting Parties on Etsy is perfect for any age range. I must admit being a big kid I did squeal in delight when I opened the box as everything inside is not only handmade but done so well. When the contacted me and asked if I'd like to review one, I was utterly delighted! 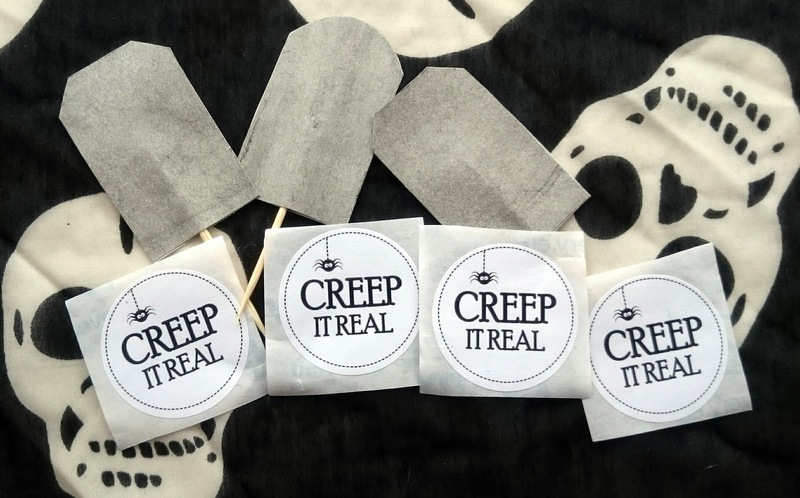 Inside each Creep It Real bunting box you get a trick or treat bingo card, three tombstone cupcake decorations, 4 stripey straws with ribbon bats, 4 creep it real stickers, two very large felt bats and the best bit by far is the gorgeous handmade bunting with a variety of Halloween themed ghouls on. 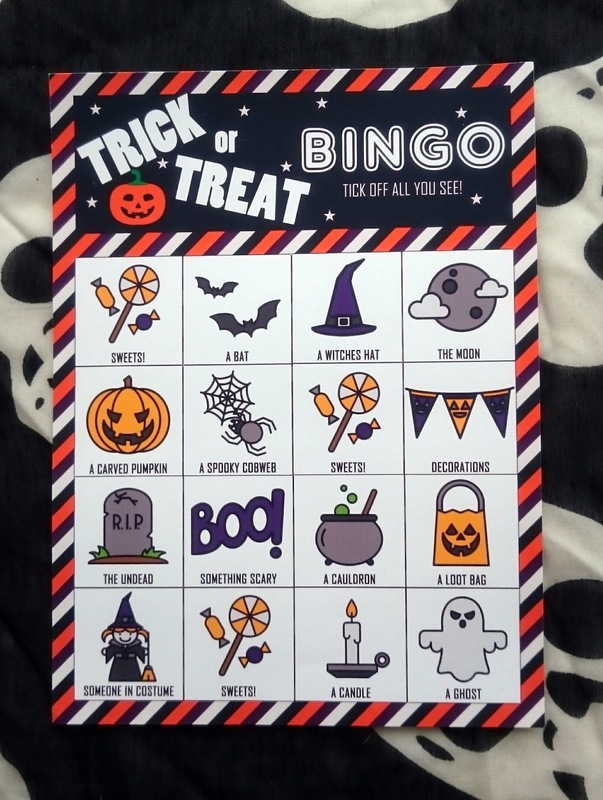 The trick or treat bingo card is fab for smaller children or a giggle if your staying home and waiting for the trick or treaters! Its made up of 16 cute illustrations of things to look out for and would be perfect stuck up on the fridge with a few magnets for reusable counters! 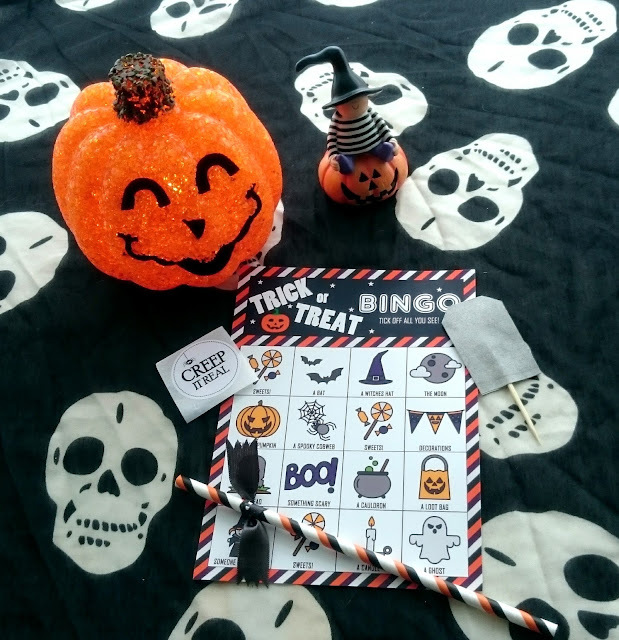 The cupcake decorations are three little grey tombstones that could easily be customised with a pen for the perfect personalised Halloween cupcake! The four stickers would be perfect for adding to a trick or treaters bag as a little gift along side all those sweets. 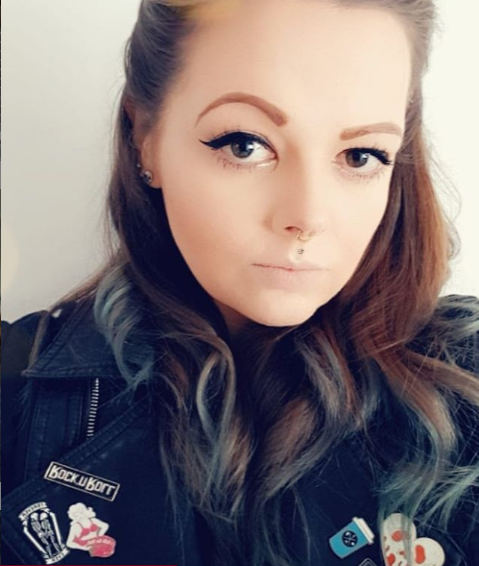 Paper straws are so on trend as they can be used to match any theme and these with the addition of a black ribbon bat with white eyes really works. You get four of these in a box and they would look fab sitting on a Halloween drinks table poking out of a cauldron or more adult cocktail. 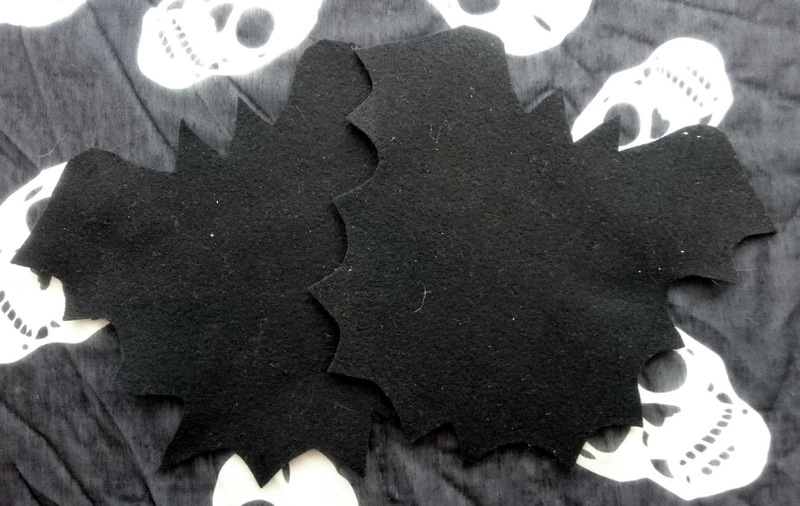 These two huge felt bats are brilliant for decorating the house or giving to smaller children with a few other felt scraps to decorate. They're a really nice touch to the box and personally I'd use them on my buffet table under a few ghoulish delights. This without doubt is my favourite item from the box. I mean just look at it! 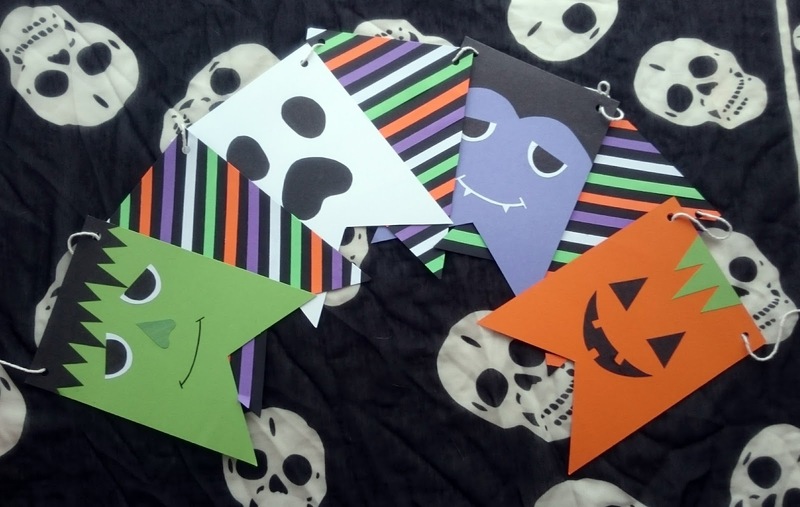 It contains 3 stripey bits of card bunting and four gorgeous little characters that are made brilliantly. These are perfect for adding the creepy theme without being scary and reusable year after year!